Coronary angiography catheter molds designed by Sven Paulin. H MS c433. From the Harvard Medical Library in the Francis A. Countway Library of Medicine. In 1964, Sven Paulin published his dissertation from his doctoral research at the University of Göteborg, Sweden, “Coronary Angiography: A Technical, Anatomic and Clinical Study.” It was quickly recognized as a landmark contribution to both fields of radiology and cardiology. He later went on to become Radiologist-in-Chief at Beth Israel Hospital (later Beth Israel Deaconess Medical Center) and the first Miriam H. Stoneman Professor of Radiology at Harvard Medical School, both in Boston, Massachusetts. He is recognized as a pioneer in the field of cardiothoracic imaging, particularly in coronary angiography. Phases in preparation of double-loop catheter. Page 19 of Sven Paulin’s “Coronary Angiography: A technical, anatomic and clinical study.” H MS c433. From the Harvard Medical Library in the Francis A. Countway Library of Medicine. In his dissertation, he presented an improved and less invasive process of coronary angiography: inserting a specially-designed double-loop catheter through the femoral artery in order to introduce a radiopaque contrast medium that would be detected through radiological imaging of the coronary artery. This technique was soon widely adopted. 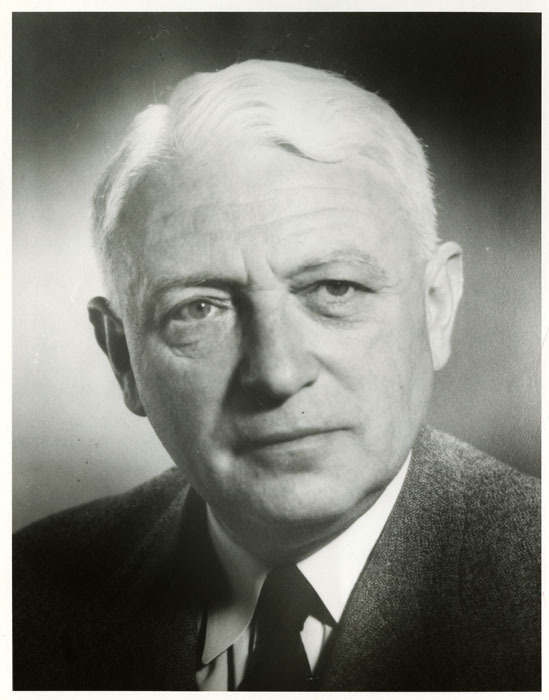 Paulin continued to work throughout his career to develop and refine the method, considering also the complications of coronary angiography, the side effects and toxicity of various contrast agents, and the quantification of coronary angiogram results. 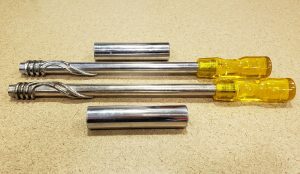 Paulin designed molds for two catheter sizes (18mm and 24mm, pictured above) for the preparation of the new double-loop catheter. 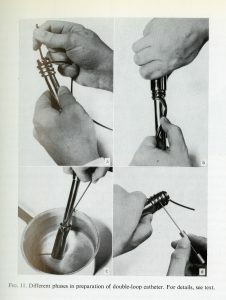 Molding the catheter was a multi-step process, as illustrated in his published dissertation. The catheter was first heated over an open flame, then threaded snugly through the grooves on the mold. After securing in place with the metal cylinder case, the tip of the mold was immersed first in boiling water, then cooled in cold water. 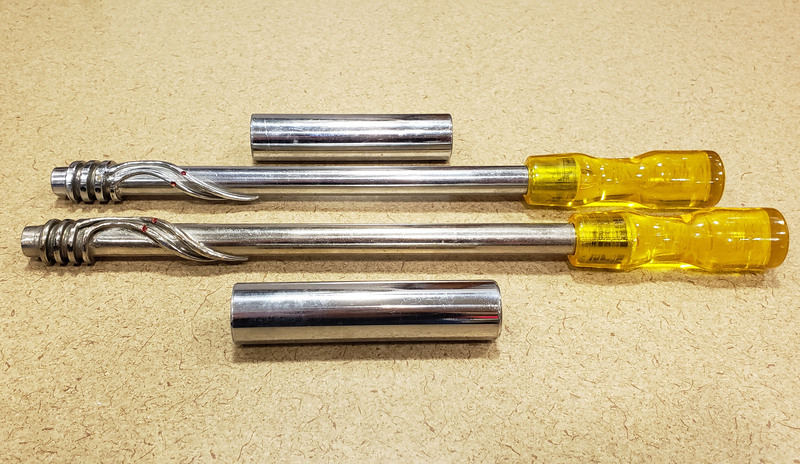 Finally, five holes were pierced into the side of the catheter, before rotating the catheter off of the mold. 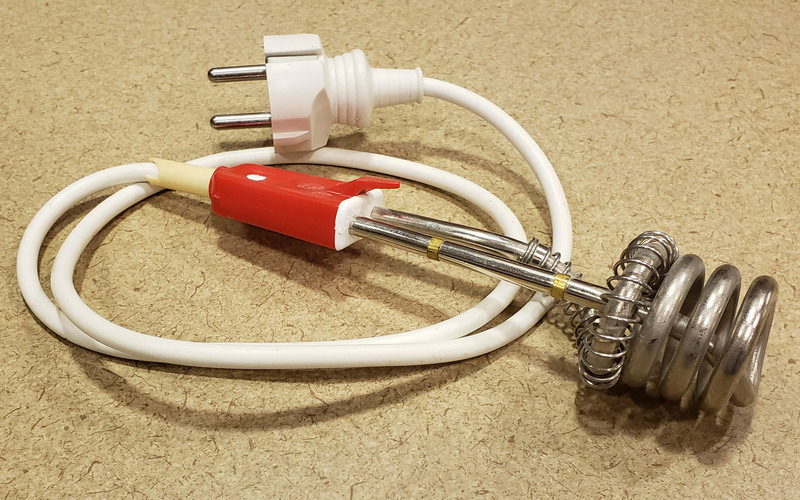 Portable coil water heater used by Sven Paulin in the preparation of the double-loop catheter. H MS c433. From the Harvard Medical Library in the Francis A. Countway Library of Medicine. While processing the Sven Paulin papers, Center staff found the two catheter molds designed by Paulin during his doctoral research. The portable coil water heater that he used to boil water during the molding process is also part of the collection. These items will be transferred to the Warren Anatomical Museum collection. 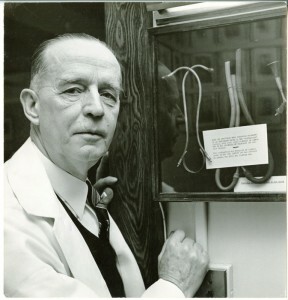 Paulin’s papers also include his: teaching and lecture records (including lecture slides and cine angiogram film recordings); writings and publications; professional administrative records generated through his service at both Beth Israel Hospital and Harvard Medical School; records of his participation in professional radiology and cardiology organizations; and personal and professional correspondence, among other papers. For more information on the collection, please contact Jessica Sedgwick, Collections Services Archivist. 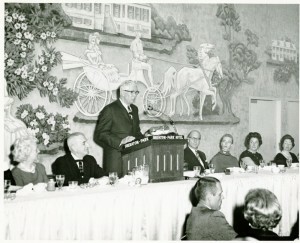 Charles L. Dunham speaking at Lauriston Sale Taylor's National Bureau of Standards retirement party, 1965. H MS c384. From the Harvard Medical Library in the Francis A. Countway Library of Medicine. The Center for the History of Medicine is pleased to announce the papers of Charles L. Dunham, M.D. have been processed and are now open to research. Charles L. Dunham (1906-1975) was Director of the Division of Biology and Medicine at the United States Atomic Energy Commission (1955-1967) and Chairman of the Division of Medical Sciences of the National Academy of Sciences (1967-1972). Dunham’s research focused on the role ecology played in the field of atomic energy, as well as the application of nuclear medicine in the diagnosis and understanding of disease. The bulk of the papers consist of travel reports, research and meeting notes, report drafts, and publications from Dunham’s tenure as Director of the Division of Biology and Medicine at the United States Atomic Energy Commission and Chairman of the Division of Medical Sciences of the National Academy of Sciences. Papers also include correspondence, lectures, speeches, photographs, articles, and writings that address various topics in radiation, including civil defense and exposure to atomic bomb fallout radiation. During the course of his career, Dunham authored numerous articles and was an active member of many professional organizations. He was President of the Radiation Research Society from 1969 to 1970, member of the Executive Committee and Board of Directors of the National Council on Radiation Protection and Measurements, and on the Board of Directors of the Health Physics Society from 1964 to 1967. He was also a member of the World Health Organization’s Expert Panel on Radiation and an advisor to the United Nations Scientific Committee on the Effects of Atomic Radiation. For more information about Charles L. Dunham, the collection, and how to access the materials, please view the collection finding aid. Processing of the Charles L. Dunham papers was made possible by the Countway Library’s Lloyd E. Hawes Fund for Radiology. Merrill Clary Sosman, undated. From the Portrait Collection, Francis A. Countway Library of Medicine. Courtesy Harry Saltzman. The Center for the History of Medicine is pleased to announce the papers of Merrill Clary Sosman, M.D., have been processed and are now open to researchers. Merrill Clary Sosman (1890-1959), A.B., 1913, University of Wisconsin, Madison; M.D., 1917, Johns Hopkins University School of Medicine, Baltimore, Maryland, was Clinical Professor of Radiology at Harvard Medical School, Boston, Massachusetts (1948-1956), and Roentgenologist-in-Chief at Peter Bent Brigham Hospital, Boston (1922-1956). Sosman was a leader in diagnosis by x-ray, the first to describe the calcification of heart valves as determined by x-ray, and significantly contributed to the establishment of a Department of Radiology at Harvard Medical School. The bulk of the papers consist of Peter Bent Brigham Hospital administrative and patient correspondence, notes, report drafts, and Harvard Medical School administrative correspondence and lecture notes. In addition to his clinical activities, Sosman authored over eighty papers in scientific journals on the diagnosis and treatment of disease or tumors by x-ray and was an active member of many professional organizations. He was Chairman of the Section of Radiology for the American Medical Association from 1938 to 1939, and President of the New England Roentgen Ray Society, the American Roentgen Ray Society, and the Harvey Cushing Society. For more information about Merrill Clary Sosman, the collection, and how to access the materials, please view the collection finding aid. Processing of the Merrill Clary Sosman papers was made possible by the Countway Library’s Lloyd E. Hawes Fund for Radiology. “Beneath the Surface: the Development and Cultural Impact of Radiology” can now be viewed online. 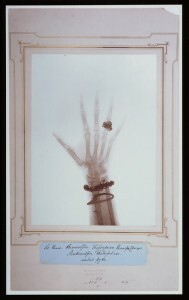 The event explored the history of radiology, including the development of the X-ray, the pioneering “radiology martyrs,” and radiology’s pervasive influence on visual culture. It was held at the Countway Library of Medicine on March 1, 5:00-7:00 pm. The event celebrated the opening of important Center collections in the history of radiology. These include the personal and professional records of Lauriston Taylor, Felix Fleischner, and Morris Simon, and the organizational archives of the Fleischner Society. Processing of these collections was made possible with the support of the Lloyd E. Hawes Fund for Radiology. Additional collections, including the records of Merrill Sosman, will be processed with the Hawes Fund support later in 2012. Online finding aids for these collections are posted as they become available on the website of the Center for the History of Medicine. Additional information about collection openings is reported on the Center’s blog. The Center wishes to thank all those who contributed to and attended the event, particularly our honorary committee, Drs. Alexander Bankier, Debra Gervais, and Theresa McCloud, and our co-sponsors, Josephine Simon and the New England Roentgen Ray Society. 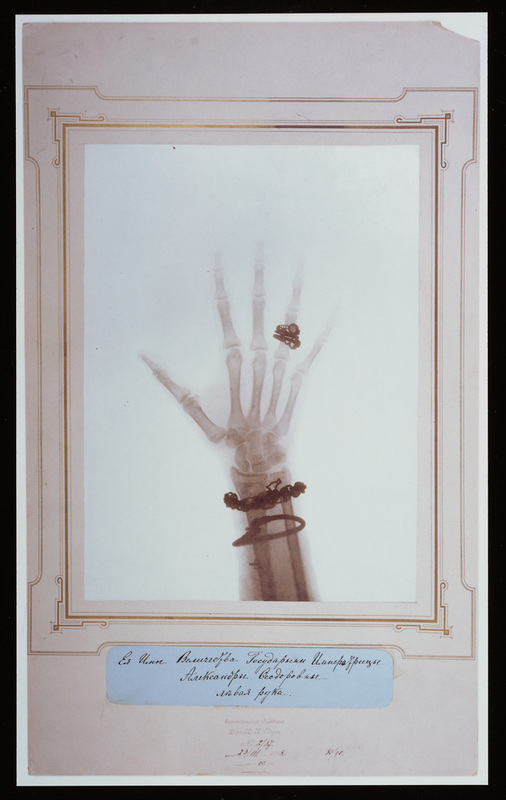 Join us for an exploration of the history of radiology, including the development of the X-ray, the pioneering “radiology martyrs,” and radiology’s pervasive influence on visual culture. This event celebrates the opening of important Center collections in the history of radiology. These include the personal and professional records of Lauriston Taylor, Felix Fleischner, and Morris Simon, and the organizational archives of the Fleischner Society. Processing of these collections was made possible with the support of the Lloyd E. Hawes Fund for Radiology. Additional collections, including the records of Merrill Sosman, will be processed with the Hawes Fund support later in 2012. Online finding aids for these collections are posted as they become available on the website of the Center for the History of Medicine. Additional information about collection openings is reported on the Center’s blog. As a part of its efforts to provide access to important radiology collections, the Center is happy to announce that the archives of the Fleischner Society have been processed and are available to researchers. The collection consists of the society’s administrative and membership records, as well as records related to its publishing activities. The finding aid for the collection can be accessed here. The Fleischner Society was founded in 1969 and named for the radiologist Felix Fleischner (1893-1969). The mission of the society is to further research in fields related to chest radiology and human chest diseases. The society, whose membership is set by its by-laws at about 60, sponsors annual meetings and symposia, as well as the Fleischner Lecture and the Memorial Fellowship Award. Founding members include Robert G. Fraser (1921-2002, the Society’s first President), Norman Blank (1925-1988), Benjamin Felson (1913-1988), Richard Greenspan (1925-2004), Eric N. C. Milne (1929-), Leo Rigler (1896-1979), George Simon (1902-1977), and Morris Simon (1926-2005) (see blog post about the Simon collection here). The collection was processed by Amber LaFountain, an intern in the Archives Management Program at the Simmons College Graduate School of Library and Information Science. Amber was the Center’s first intern from Simmons’ new Archives Field Experience class, which provides interns with a 130 hour internship instead of the previous 60 hour assignment. For information regarding access to the collection, please contact the Public Services staff. From the Harvard Medical Library in the Francis A. Countway Library of Medicine. 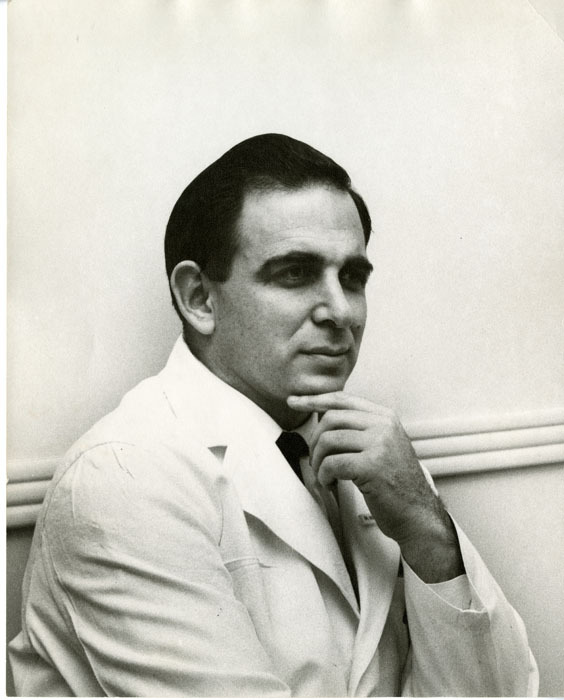 The Center for the History of Medicine is pleased to announce the papers of Morris Simon, M.D., have been processed and are now open to researchers. Simon (1926-2005; M.B., B.Ch., 1948, Witwatersrand University and Medical School) was Professor of Radiology at Harvard Medical School, Boston, Massachusetts, from 1972 to 1997 and Radiologist-in-Chief at Beth Israel Hospital (now Beth Israel Deaconess Medical Center), Boston, from 1963 to 1970. Simon’s research focused on chest radiology, including pulmonary blood circulation and the use of thermal shape-memory alloys for devices such as stents and vena cava filters, as well as computerized language information processing for medical reporting. The bulk of the papers contain lecture and article drafts, drawings, professional correspondence, patent applications, and reports produced by Simon while developing several medical devices and patents, including the Simon Nitinol Filter and Stent, needle localiser, variable scale disc ruler, and rotary disc calculator. In addition to his clinical and research activities, Simon authored numerous articles and was an active member of many professional organizations. He was President of the New England Roentgen Ray Society from 1972 to 1973, founding member and President of the Fleischner Society in 1976, and a member of the American College of Radiology, the Radiological Society of North America, the American Medical Association, and the Massachusetts Medical Association. Simon was also a member of the Faculty of Radiology, England, who awarded him a F.F.R. in 1956. To celebrate the opening of important Center collections in the history of radiology, including the papers of Morris Simon, the Center is hosting an event entitled “Beneath the Surface: The Development and Cultural Impact of Radiology” which will be held on Thursday, March 1, 2012. Additional information about the event can be found on the Center’s Exhibits and Events website and blog. For more information about Morris Simon, the collection, and how to access the materials, please view the collection finding aid. 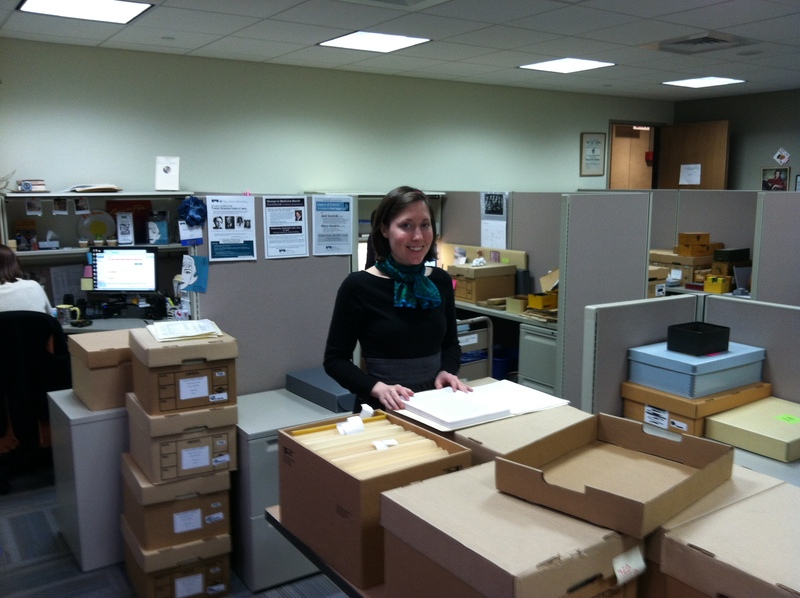 Processing of the Morris Simon papers was made possible by the Countway Library’s Lloyd E. Hawes Fund for Radiology. The Center is pleased to announce that the papers of Felix Fleischner, M.D. have been processed and are now open to researchers. Fleischner (M.D., 1919, University of Vienna) was Clinical Professor of Radiology at Harvard Medical School, Boston, Massachusetts, and Radiologist-in-Chief, Emeritus, Beth Israel Hospital, Boston. Fleischner’s papers are the product of his activities as a radiologist, educator, lecturer, and contributing member of national and international radiological societies. Fleischner’s research focused on pulmonary diseases, including atelectasis, bronchitis, bronchiectasis, emphysema, and tuberculosis, as well as diseases of the heart and colon. In addition to his clinical and administrative work, Fleischner authored numerous articles that appeared in The New England Journal of Medicine and Radiology, served as President of the New England Roentgen Ray Society, and was a member of the American Roentgen Ray Society and the Radiological Society of North America. In the late 1960s, Fleischner and a small group of radiologists began to organize a thoracic radiology society. 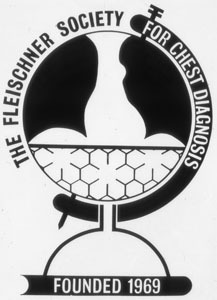 When the society was formally created in December 1969, Fleischner’s colleagues named it the Fleischner Society, in memory of the radiologist. To celebrate the opening of important Center collections in the history of radiology, including the papers of Felix Fleischner, the Center is hosting an event entitled “Beneath the Surface: The Development and Cultural Impact of Radiology” which will be held on Thursday, March 1, 2012. Additional information about the event can be found on the Center’s Exhibits and Events website and blog. For more information about Felix Fleischner, the collection, and how to access the materials, please view the collection finding aid. Processing of the Felix Fleischner papers was made possible by the Countway Library’s Lloyd E. Hawes Fund for Radiology. 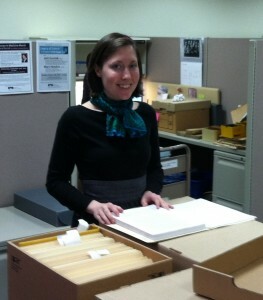 I’m Amber LaFountain, the latest intern from the Simmons College Graduate School of Library and Information Science. I’m in the Archives Management program, and making my way through my fourth semester. Last Spring, the program introduced the Archives Field Experience class, a 130-hour internship course, and I’m lucky to be the Center for the History of Medicine’s first intern from that class! The longer time commitment is letting me do more than just get my feet wet. I’m gaining more processing experience, working on a larger collection, and getting more guidance than I could have with a shorter time allowance. In September, I began processing the Fleischner Society Records. The Society was founded in 1969 by eight radiologists interested in furthering research in fields related to chest radiology and human chest diseases, and today is comprised of over a hundred active and senior members from around the world. It was named for Dr. Felix Fleischner, a recognized chest radiologist who died just prior to the Society’s first meeting. Each year, the Society holds a symposium in which members meet to educate each other on new research into chest radiology and human chest diseases. The records date from 1969 through 2002, and consist of administrative records, publications correspondence, and membership records. The bulk of the collection reflects the Society’s annual symposia, but the records also reflect administrative activities, finances, membership selection, committee functions, and publication efforts. While here, I’ve been working to arrange and describe the collection so that it can soon be accessible to researchers. To top off the internship, I’ll create a finding aid for the collection, which I will then encode for online access. I’m lucky to be gaining this experience here, where I can see how the theories and methods that I’ve learned in class play out in a large and well established institution. It’s been a great experience so far, and I’m looking forward to seeing what the next few weeks have in store!